We have over 20 years of expertise in enterprise IT consulting and skill transfer. Imola provides highly qualified enterprise strategists, architects and experts. We have strong experience in the financial, local government and industrial sectors. MokaByte is an online community for enterprise Java architects and developers, providing daily news, tech talk interviews with key industry figures, design patterns, discussion forums, free books, tutorials, and more. 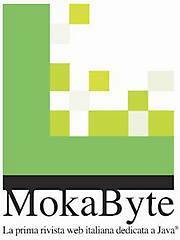 MokaByte was launched in May 1996 and has become the largest independent Java community in Italy. Our communities are places where innovations in technology are first discussed, reported, and promoted - often years before traditional media catches on. This makes our community a lot more than a simple site - it is an integral force contributing to the evolution of modern software technology itself. Sensible Logic S.r.l. is an academic spin off company born to industrially apply, develop and exploit the tremendous potential of the Semantic Web technologies and in particular of the research developed at the Semantic Web and Multimedia Group, Università Politecnica delle Marche. Sensible Logic is composed by leading researchers in the Semantic Web and Multimedia fields and is participated by Imola Informatica. We pay a lot of attention in the emergin technology trends, conscious of their value and conscious of the challenges applying them to the Enterprise context. It's very interesting for us to share the ideas we have, and we manage this point of contact to expose our point of view to you. You are all invited to partecipate, here or in our Blog. gruppoimola, inside Sun Microsystems Open-ESB project, is the leader in the implementation of two connectors: a CORBA (jbi4corba) one and a Cics (jbi4Cics) one. These components are described on Open-ESB web site, CORBA BC and CICS BC. This collaboration has let Imola Informatica to become NetBeans Strategic Partner . A selection of some areas we are working on.